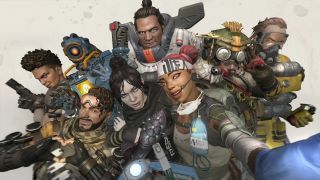 Apex Legends, Titanfall developer Respawn Entertainment's new free-to-play battle royale game, does a lot of things right, but the Apex Legends ping system for communication may well be its crowning achievement. In order to perfect this system, Respawn had to enforce some strange playtesting restrictions, as the studio recently revealed on Twitter. So basically, Respawn built their own rando mode. This sounds kind of weird at first blush, but thinking about it, it does sound like a really good idea. Apex Legends' ping system is useful even when you're actively chatting on Discord with friends, but for a controlled test environment, I imagine you can't beat total disconnection. I mean, you don't benchmark CPUs under minor load, so it follows that you wouldn't test an integral communication system without throwing in as many theoretical monkey wrenches as possible. All that wonky testing has clearly paid off. As we said in that earlier piece, the ping system is so accurate and easy-to-use that you never even have to worry about text or voice chat. Hell, I've found pinging things to be more effective than calling them out verbally. That's when you know you've done a good job. "There’s both a sense of consistency from match to match, as well as a soothing mask to cover the horror of dealing with other people," as our own Leon Hurley put it. "Apex Legends might have taken a lot from other games but it’s given the Ping system back and it deserves to be praised for it."